I worked in retail for a long time. A really long time. I loved working retail and still love retail. This doesn’t just mean that I love shopping (which I do). For me, the draw of retail was the connection to people and services while on the front lines. This connection remains my favorite part of my job, even though I now work in a marketing role. In both retail and marketing, we have a “conversation” with customers in some way each and every day. 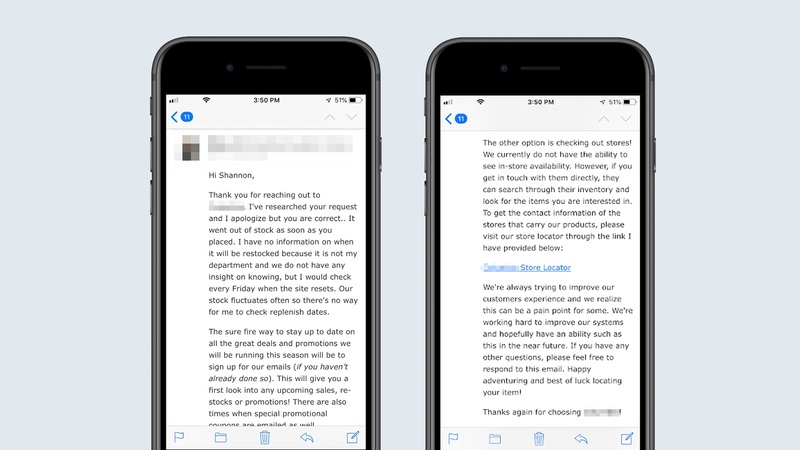 Whether it’s merchandising, in-home or digital flyers, banner ads, in-store marketing, events or email, every day we communicate with customers to see what works. What is that one special moment where the customer adds an item to their cart and checks out? Or where that person comes to the cash with an armful of merchandise? Or when they open an email that results in a purchase? How about when they click on an Instagram post and proceed to the site and complete a purchase? What was the magical “thing” that resulted in the purchase decision? It was and is a very exciting give and take that retailers have with their customers every day. It’s part of why I am still passionate about retail! At the beginning of my career in marketing, trying to identify the reasons behind purchase was all guesswork and trial and error. There was no tangible way to have a holistic view of customers and their behavior across all touchpoints which at that time was mainly bricks and mortar. We could conduct qualitative analysis (exit surveys, secret shopper programs) and manual data entry (recording sales over time or relying on store teams to record them diligently) but it was cumbersome and difficult to scale. Fast forward to the latter half of my career where we now have a wealth of information across multiple touch points (both bricks and mortar and digital) to truly start meaningfully looking at customer data and make real time decisions. When I was working with an ecommerce start-up, we would meet every morning to go through sales data across all digital touchpoints, look at market data including trends, product placements and celebrity endorsements and make real time decisions about product and merchandising to drive conversion. I also worked with a national retailer and started to compile all the data which was siloed across a few different teams. I gathered information from store sales data, online sales data, search queries, trend data, paid campaign data, and Google customer buying data to harness the 360 degree view of customer information. This empowered us to make impactful decisions around buys, merchandising, geo sales data and future planning for product lines based on trends or material market changes (think customers leveraging online data to make in store purchase decisions or vice versa). Throughout it all, the thrill of unlocking the “thing” that impacted a buying decision was the driving force. That intense curiosity, the creativity and the thrill of the chase is why I continue to love retail. In the last three years, I have noticed a huge shift in marketing which prompted me to move to another side of retail. I made the move to Rangle, a Digital Transformation Consultancy. To better understand the decision, I want to tell you about some recent retail experiences which are good examples of why I made the switch from an industry I love. First of all, I should identify myself as an active shopper (no surprises there). 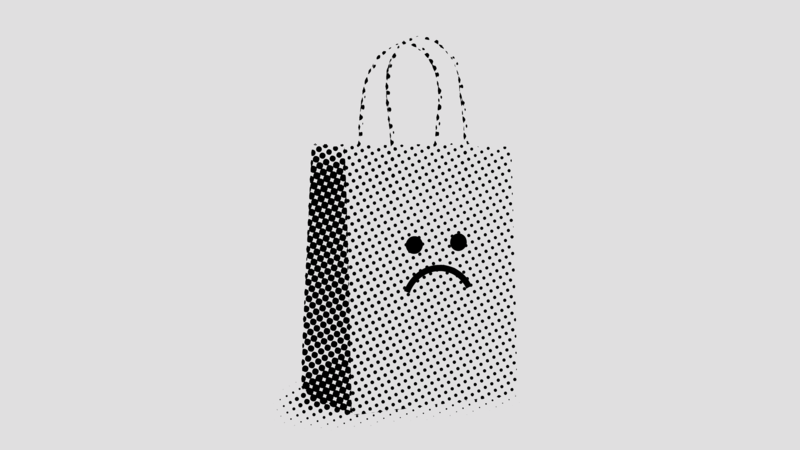 I say this because I genuinely love the experience of shopping, both online or in-store. I love walking into Indigo and being surrounded by books and getting recommendations from staff, I love the experience of browsing the shelves, picking up books and holding them and of course a gorgeous scarf to go with it (and a candle and a picture frame). I love walking into Simons and making my way through all of the different departments and admiring their incredible merchandising and commitment to curating “looks” on the shop floor. It is tangible, engaging, and an overall great experience. I also love shopping online and have shifted many of my purchases to online mostly due to the convenience. It’s great to shop in your pyjamas on Sunday at 10pm with a glass of wine and having your purchase delivered right to your front door. As a retailer and a marketer, I acknowledge that I have always had high expectations of my customer experiences online and in store. The biggest shift that I have noticed over the last three years is that now we are heading into a different arena where consumer expectations are rising rapidly and in many cases even surpassing my own very high standards. What used to be “surprise and delight” is now standard and fully expected by consumers. Being out of stock in store, Instagram ads that showcase products that are not in stock after clicking through, inability or reluctance for stores to help customers source from other locations, poor mobile experiences in a mobile first society, poor or lacklustre customer service both in store and online and slow and painful check out experiences are now unforgivable in the minds of consumers. This past Christmas I experienced a few things which solidified my decision to move to Rangle and help more retailers innovate. I was trying to buy a pair of ski pants online. I found the ski pants, selected my size, added to my cart, and proceeded to check out. When I got to the checkout, I received a message that they were no longer available. I decided to contact customer service to see if they could help. No online chat was available but an email address was, so I decided to reach out to the retailer to see if they could help. I stated my problem and indicated that I was a longtime fan of the brand. I let them know would be willing to travel to a store or pay for shipping fees if they could locate the ski pants (I really wanted the ski pants). Here is the message I received from the brand - I have blocked out the brand name because it is not material to the situation, the response however is. If you are saying to yourself, “I totally get it, inventory issues, logistical nightmare to ship from another country, too expensive to solve for one customer etc” - you’re doing it wrong. The fact of the matter is, these problems are yours to solve if you want to win the retail race and I hope you are not just thinking about it but actively looking for how you will not only solve the problem but go a step further and create an exceptional and unique digital first customer experience. Get the lady her ski pants (and the lifelong brand loyalty that comes with it)! What if the sky was the limit? I often say to myself in the course of a week, “If I could be doing anything at all, what would I be doing?”. So if I asked you the same question, what would your answer be? 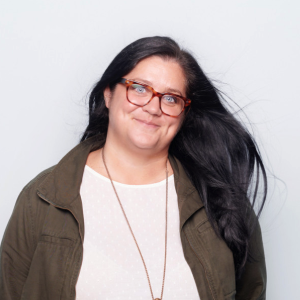 The gift of modern technology and consultancies like Rangle is that the “anything at all” is not only possible but possible in an alarmingly short timeline. Those who are doing and doing before there is an urgent need (read, a need to drum up sales right now because we are sinking), means that you have the time to really look at this question, strategize, prioritize, roadmap and make strategic investments that have both the long and short term objectives in mind. It also means you can look at larger scope digital solutions like a Design System which will be a powerful tool in speed to market for all digital campaigns and promotions, adaptability, geographically, or contextually structured campaigns, structured brand governance, personalization and targeted marketing going forward. If you wait too long… well, we all know what is happening in traditional retail right now. Here is the good news in all of this. There are several retailers out there making it happen with the intent on capitalizing on a shifting consumer shopping behavior that is increasingly digital first and ultimately future proofing their companies. We recently worked with Staples on creating a digital solution for their completely revamped in store experience they are branding as “the world’s first working, learning and growing store”. They recognized that there is a huge shift in the gig economy, startups and small businesses locally and there wasn’t an ideal solution to a one-stop shop for the types of services these folks need beyond just printing. They are positioning this as a collaboration space between their customers and employees and are offering event spaces and co-working spaces that go beyond the traditional print job. The solution we built with Staples is also able to allow the customer to self-serve in store and have a full view into all of the relevant services that Staples has to offer in an engaging and seamless way. I recently read the book, Bring Your Human to Work by Erica Keswin (and I highly recommend it!) and in the book they feature a case study on fashion retailer Rebecca Minkoff and her smart dressing room concept. Imagine if you were able to have Rebecca Minkoff personally curate looks for you in real time. This is essentially what she has done by using thoughtful technology to amplify the in store experience. Using RFID tags, she has created smart dressing rooms and smart mirrors. 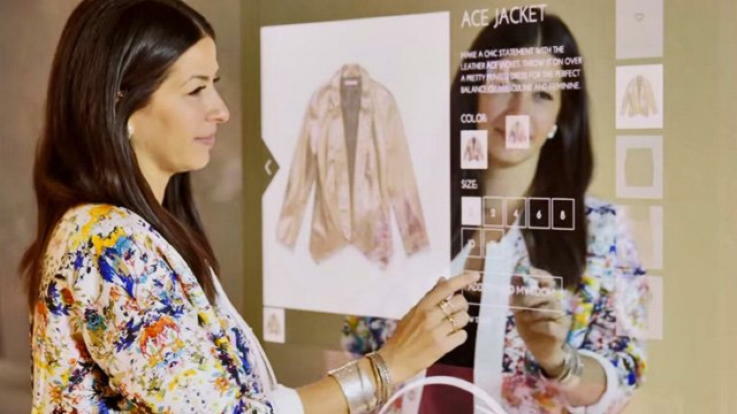 With the touch of the of the mirror, shoppers can order a drink and get real time suggestions based on the clothing that you brought into the dressing room. The RFID tags allow Rebecca to suggest additional items via the screen in the mirror to complete the look or compliment a style sense. More than this, you can adjust the lighting in the room to mimic the lighting at the event or location you are traveling to. The proof is in the pudding on this investment - since implementing the technology, sales are up 200 percent! The main point here is that digital first innovation does not mean that it is an online experience exclusively. How are you leveraging the capabilities of technology across all customer touchpoints? When is the last time you went to one of your stores with someone who has never been there before or had someone shop your ecommerce site while you sit beside them to go through the experience “first hand”? What would you change immediately that would have a material impact on your business now and in the future? A really great example of leveraging a technology partner as part of future proofing your company is to look at the example of Kohls and their partnership with Amazon. As with any retailer, Kohls has a mandate of driving in-store traffic. After a challenging period of downsizing, they have taken a holistic look at their business and started to leverage floor space by opening up to “value add” services such as grocery or convenience stores within their stores. They have also looked to embrace a shifting digital consumer mindset by testing new customer service concepts like self-checkouts, self serve kiosks, and lockers for picking up online purchases. Guess what? It’s working. There is a wide spectrum of how big or how small you choose to embrace, implement or test a digital first retail strategy. What you're doing short term is not as important as how you're shifting your overall strategic approach to future proofing your business. This requires embracing technology and all that it offers in amplifying your customers’ experiences and creating brand loyalty through ease of adoption across all customer touchpoints. Doing retail right. Get the lady her ski pants! The next time you are in a mall during the holiday shopping season, pay attention to the number of people who have arms full of merchandise, take one look at the lineup and promptly dump their merchandise on the nearest table and walk out. In the span of a fifteen minute period this past holiday season, I counted 14 people doing exactly that at one store alone with at least 5-6 items in their arms falling onto a display table. Ask yourself, “what if each of my employees had access to a connected mobile payment platform that allowed employees to check out customers with arms full of merchandise with heavy coats on and children in tow, instantly on the floor (much like the Apple store or Sephora models) and be on their way. Again, if you are saying to yourself “what about the cost of implementing, what about security tags, what about theft, what about anything logistic?” you’re doing it wrong. If at any moment while reading this blog you said to yourself “I would love to (insert your idea, project, vision here)” let me know. I would love to meet you and take you out for dinner (for real) and talk about how Rangle can help. This is the reason that I came to the consultancy side of the innovation space. I love retailers and I want to help you make a decision to harness technology. Not only will you future-proof your business, but you’ll be the retailer that others look to as industry leaders. Your customers will thank you by giving you their business in an increasingly competitive space. I love retail and I want to see it not only survive but thrive - let’s talk about how I can help! You can also learn more about how Rangle is innovating with retailers, here.